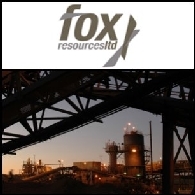 Fox Resources is a diversified base metals explorer and producer with nickel, copper and zinc projects in the Pilbara of Western Australia, committed to growth through production expansion, diversification and exploration success. The Company is generating excellent cashflow from the West Whundo copper-zinc mine which is being used to fund a pipeline of projects within the Pilbara region of Western Australia. Fox sells all of its copper via an off-take agreement with China's largest producer of nickel, Jinchuan Group Limited. 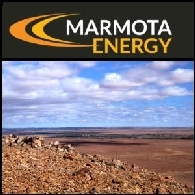 Asian Activities Report for November 16, 2011 includes: Marmota Energy Limited (ASX:MEU) announces 60-125 million tonnes of first stage iron ore exploration target for the Western Spur iron project in South Australia; Blackwood Corporation Limited (ASX:BWD) says today that its projects in the Galilee Basin in Queensland have been significantly advanced; Fox Resources Limited (ASX:FXR) has signed a non-binding Memorandum of Understanding with Jiangxi Jiangli Sci-Tech Co., Ltd; Gloucester Coal Limited (ASX:GCL) has increased the total JORC coal resources at its Monash Coal Resources from 287 million tonnes to 577 million tonnes. 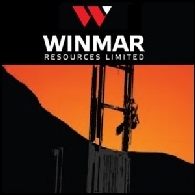 Asian Activities Report for August 26, 2011 includes: Winmar Resources Limited (ASX:WFE) announced excellent results from the Winmar Deposit at the Hamersley Iron Ore Project in Western Australia; Newland Resources Limited (ASX:NRL) has commenced a drilling program on the Comet Ridge coal project in Central Queensland; King Solomon Mines Limited (ASX:KSO) has resumed drilling at Mud-house gold prospect within the Sonid North gold project; Fox Resources Limited (ASX:FXR) today announced the preliminary economic results of its Revised Scoping Study on the 100%-owned Radio Hill and Sholl Heap Leaching Projects in Western Australia; Suzlon Energy Limited (BOM:532667) announced a contract signed between REpower Systems SE and Wind Works Power Corp.(OTC:WWPW). Mr Seneque is a Certified Practising Accountant with CPA Australia with experience in corporate accounting and administration. Prior to joining Fox, Mr Seneque was the Company Secretary and Financial Controller for tantalum producer Haddington Resources Ltd. He was also previously group accountant for Titan Resources Ltd and part of his responsibilities was the financial and management reporting for the Radio Hill nickel project. Mr Seneque is an affiliate of Chartered Secretaries Australia. The Australian market yesterday experienced its worst day in a year with a massive 3.1 per cent drop, wiping off more than A$40 billion value from the local market. Asian shares also saw broad sell-off on Monday due to the lingering euro zone debt issue. After flat lead from Wall Street, the Australian share market rose slightly at opening on Tuesday and soon moved back to negative territory. Yesterday the Australian shares ended modestly higher despite a strong lead overseas. The market in late trading gave up some of its early gains as investors started to pocket their profits in recent rallies. The benchmark S&P/ASX200 index was up 0.8%, or 29.7 points, at 3580, while the broader All Ordinaries index rose 1%, or 34.2 points, at 3517.3. Today resource stocks may decline after metals prices fell. Legend Mining Limited ("Legend") (ASX:LEG) has received encouraging iron results from rockchip sampling over the prospective Cleaverville Formation within its Pilbara Project in Western Australia. The Cleaverville Formation hosts the 1.6 billion tonne Cape Lambert Magnetite Project, located 15km to the northeast, which was recently sold by Cape Lambert Iron Ore Limited (ASX:CFE). Legend Mining Limited ("Legend") (ASX:LEG))(PINK: LGDMF) is pleased to advise that it has signed a letter agreement for the lease of its accommodation facilities and airstrip at the Mt Gibson Project in Western Australia to Extension Hill Pty Ltd for a period of 3 years. The lease period commences on 1 July 2008 and Legend will receive rental income of A$500,000 per annum. Fox Resources Limited (ASX: FXR) - Jinchuan Takes 11 Percent Equity Stake in Fox - Mr Don Harper, MD and Mr Terry Streeter, Chairman; Fox Resources Limited (ASX: FXR) present the following audio webcast regarding "FXR - Jinchuan Takes 11 Percent Equity Stake in Fox - Mr Don Harper, MD and Mr Terry Streeter, Chairman". You may also download this audio webcast to your computer or portable audio player. Fox Resources Limited (ASX: FXR) - Nickel Production at Radio Hill - Mr Don Harper, MD; Boardroomradio is pleased to announce that Fox Resources Limited (ASX: FXR) has published an audio file.